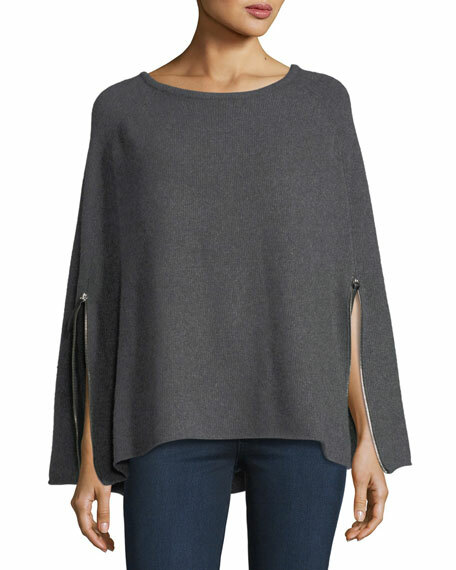 Carolyn Rowan "Starburst" knit poncho in cashmere. 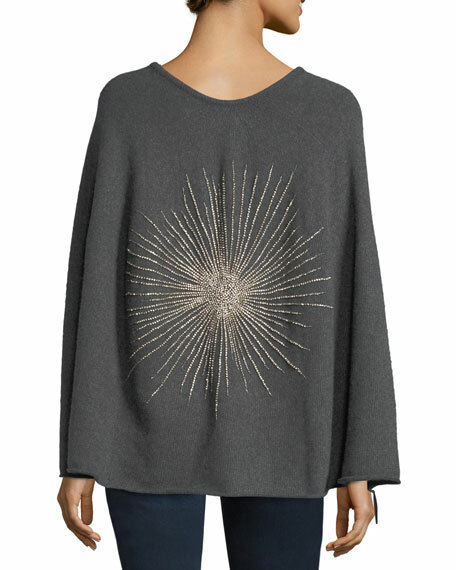 Back embellished with Swarovski® crystal beading. 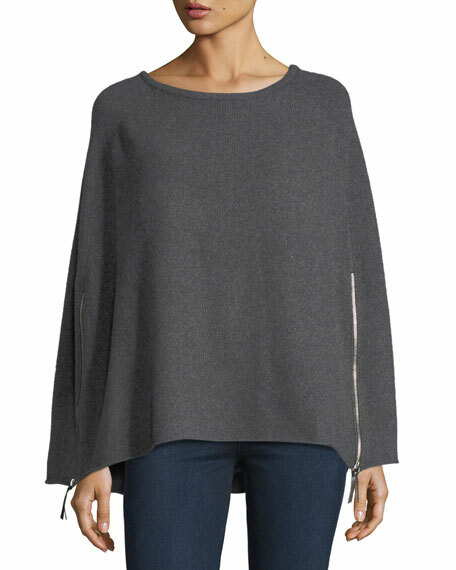 Half zip detail at cape sleeves. With innovative embellishment and old-school craftsmanship, Carolyn Rowan celebrates fur as the ultimate modern accessory. Rowan combines her unique, modern aesthetic with traditional and luxury materials with Swarovski® beading. She aims to create collections that extols the virtues of fur as she likes to wear it: with everyday ease, whether wrapped around a ball gown or over a leather jacket on the way downtown. Each piece is handcrafted and hand sewn in New York City. For in-store inquiries, use sku #2369194.